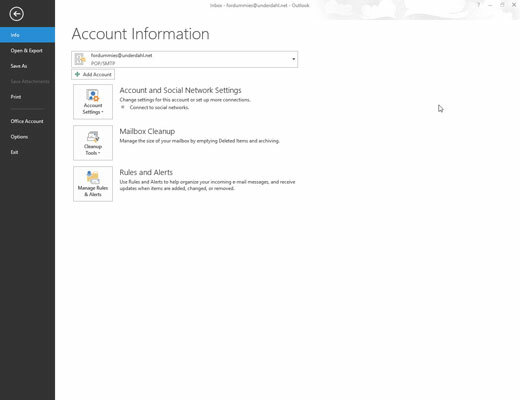 Click the Account Settings button and choose Account Settings from the drop-down menu. 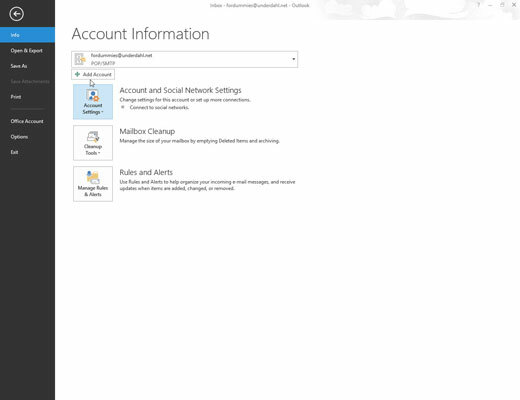 The E-mail Accounts setup page appears. 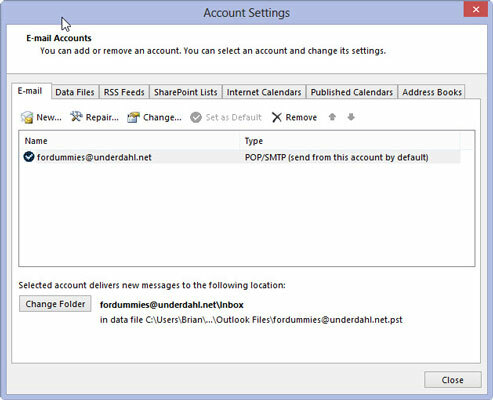 The Add New Email Account dialog box appears. The Add New Account dialog box appears. 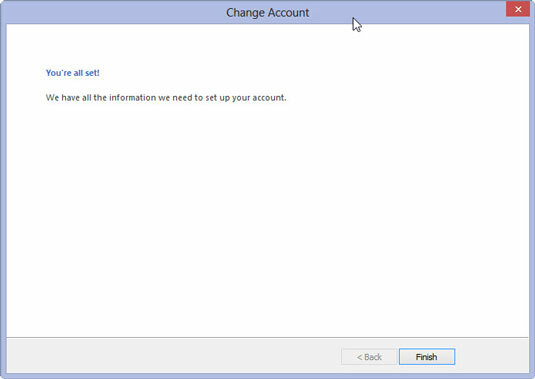 Fill in the blanks in the New Account dialog box. Be careful to enter the information accurately — especially your e-mail address and password. Otherwise, your e-mail won’t work. 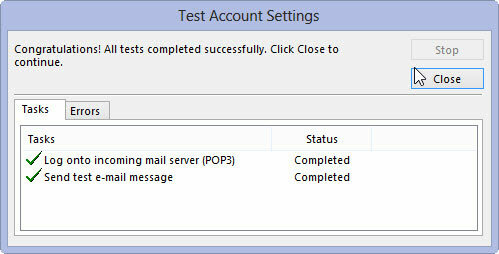 Outlook begins trying to test your e-mail account setup. If it succeeds, the Congratulations screen appears. If the automatic setup fails, check with your e-mail provider to see what settings they recommend. 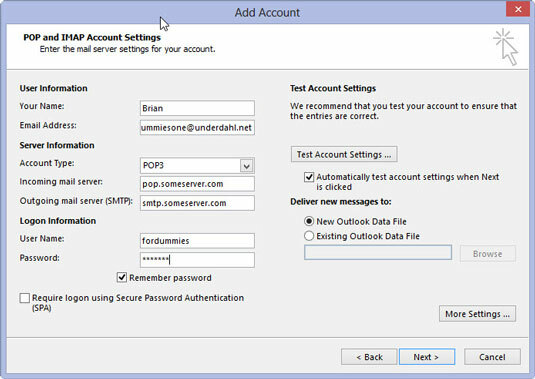 Then you can repeat the previous steps, but select the Manually Configure Server Settings check box right after filling in the blanks in the New Account dialog box. That opens the Server Type dialog box, which is where you can enter the settings that your e-mail provider tells you to enter. 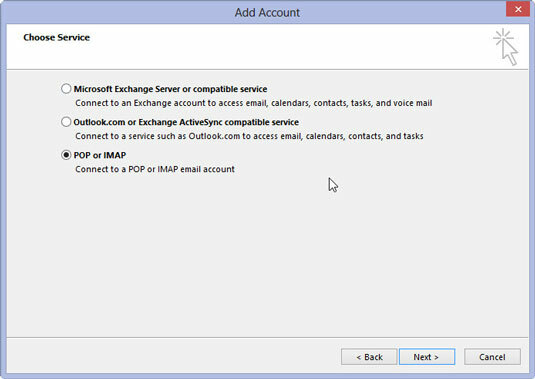 Each e-mail service differs, but most of them can tell you how to make their e-mail work with Outlook.